ATLANTA (AP) - The "bump stocks" used by the Las Vegas gunman were not widely known about or sold - until now. The stocks have been around for less than a decade. The federal government gave its seal of approval to selling them in 2010 after concluding that they did not violate federal law. It's unclear how many have been sold. The industry leader, Slide Force, did not return messages seeking comment. But the Abilene, Texas, company's Facebook page is filled with videos extolling its features, including a woman who gushed, "It's so easy because once you slid it forward and leaned into it, it just fires, one time simple press." In another video, a man fires off 58 rounds to celebrate his 58th birthday in just 12 seconds. Manufacturers tout the stocks, which typically sell for less than $200, as offering a simple and affordable alternative to automatic weapons without the hassle of a rigorous background check and other restrictions. That's echoed by another gun-shop owner. Jay Wallace, owner of Adventure Outdoors in Smyrna, Georgia, said soon after most of his customers buy one, "the newness wears off and they put it away and it stays in a closet." He and others are prepared for customers who might want to get their hands on a device they had never heard of, or others who are now worried that the stocks could get banned. Gun experts say that while it gives a firearm the ability to quickly spray out bullets, it creates such a jolt that accuracy is affected. That may not matter to gun owners who just want the thrill of shooting with it, or for those bent on destruction. Stephen Paddock, the 64-year-old gunman, sprayed hundreds of rounds indiscriminately from his 32nd-floor room at the Mandalay Bay Hotel and Casino on a music festival outside. The use of "bump stocks" raised a host of questions, chief among them: Did they make the firearms more deadly or damaging? The shooting also renewed a push by some lawmakers to ban the devices, including California Sen. Diane Feinstein, a Democrat who said the devices can allow a gun to fire 400 to 800 rounds per minute and "inflict absolute carnage." The purchase of fully automatic weapons has been significantly restricted in the U.S. since the 1930s. In 1986, the federal National Firearms Act was amended to prohibit the transfer or possession of machine guns by civilians, with an exception for those previously manufactured and registered. 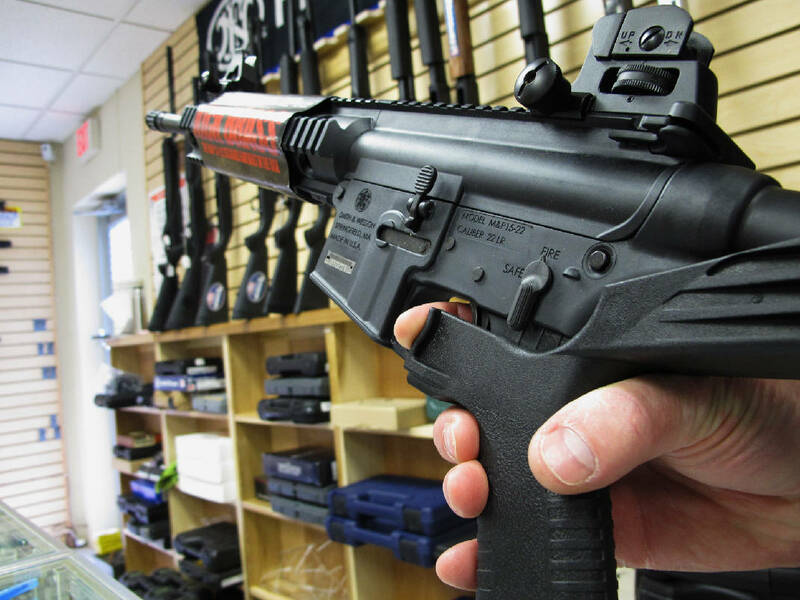 Numerous attempts to design retrofits failed until recent years when bump stocks came on the market. Technically, that means the finger is pulling the trigger for each round fired, keeping the weapon a legal semi-automatic. The rapid fire does not necessarily make the weapon any more lethal - much of that would be dependent on the type of ammunition used. But it does allow the person firing the weapon to get off more shots more quickly. Erich Pratt, executive director of Gun Owners of America, said the industry is prepared to have the devices scrutinized by lawmakers and gun-control advocates. That happens regularly after a high-profile shooting. But he and others defended their use, suggesting it's unfair to go after firearms when other weapons - trucks and fertilizer, for example - aren't as quickly criticized after deadly attacks. "If he used fully automatic weapons, he likely got them illegally. If he used aftermarket parts, he used them for illegal activities. For whatever reason, this man wanted to kill lots of people. ... Adding extra restrictions to guns, magazines, or accessories will not prevent others from committing mass murder." Associated Press writers Sadie Gurman in Washington and Michael Balsamo in Las Vegas contributed to this report. For complete all-formats coverage of the Las Vegas shooting, click here: https://apnews.com/tag/LasVegasmassshooting .